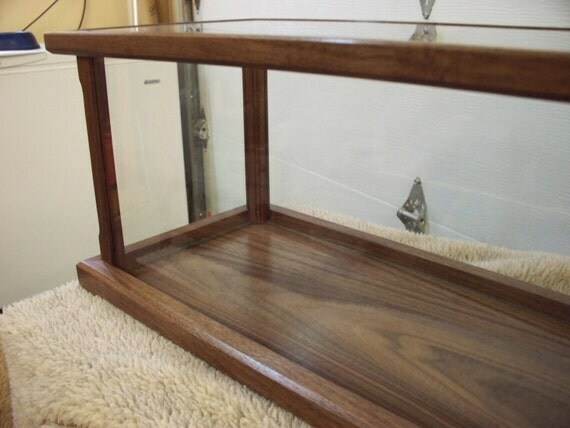 Home » Archive by Category "Mahogany"
This display case is handcrafted using solid 3/4 inch Cherry, but may be made to order in other domestic woods. 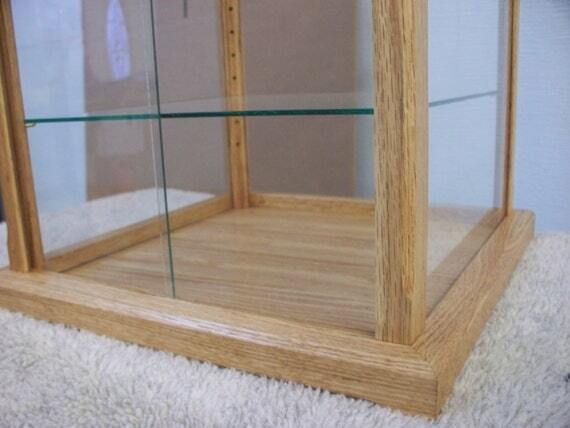 The case has a glass back, glass top and sides, and solid glass front to allow for easy access to your collectables. 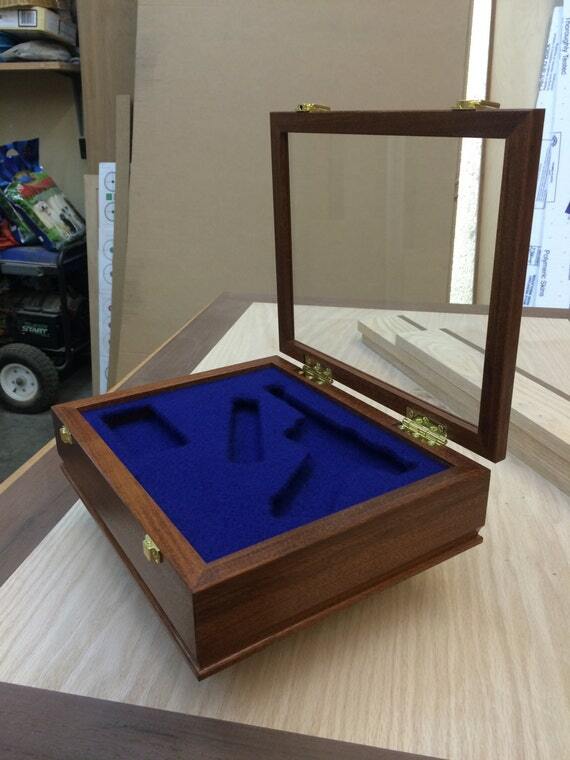 The case design allows the contents to breathe while keeping them dust free. 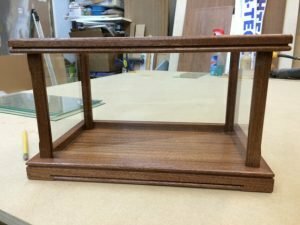 Mirrored glass back can be added to the package for an additional $20.00 so you can have a choice of backs for different displays. 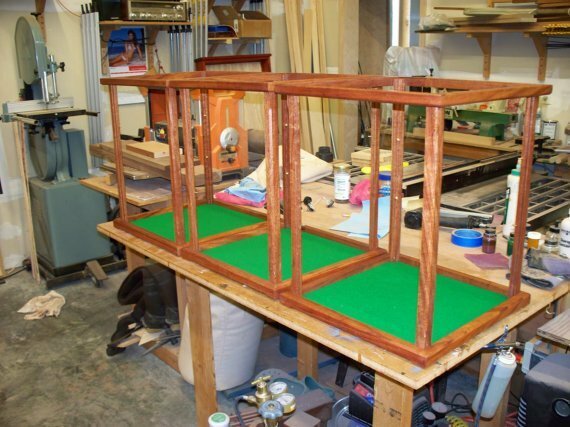 The outside dimensions of this case are 20″ tall by 14 wide and 14″ deep. 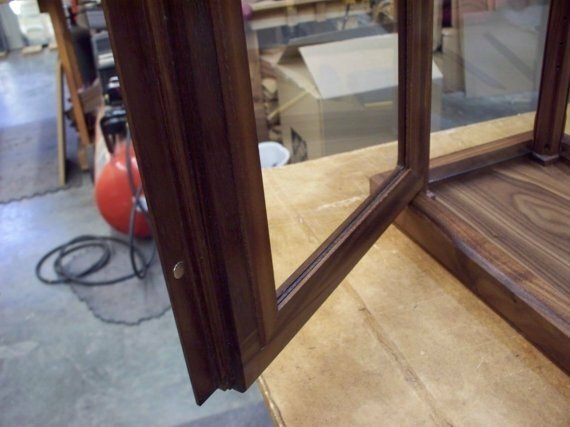 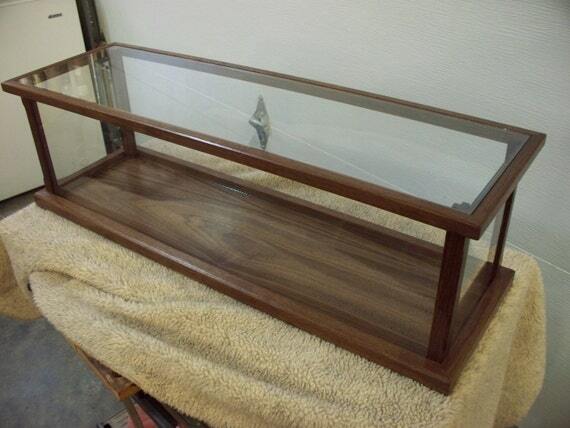 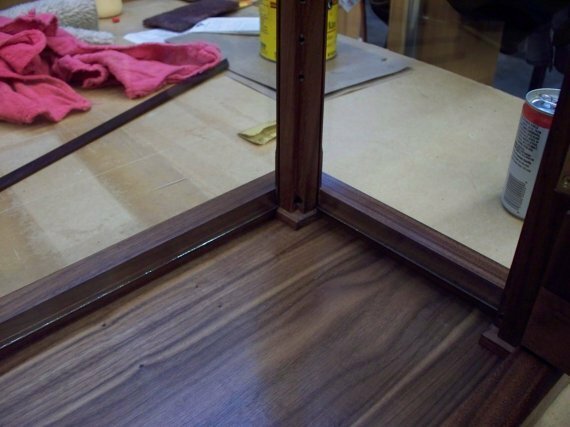 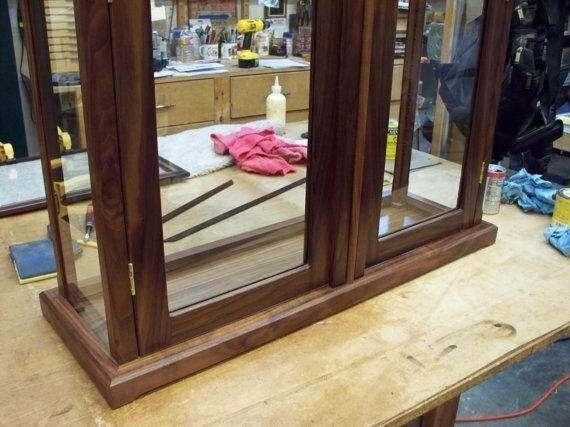 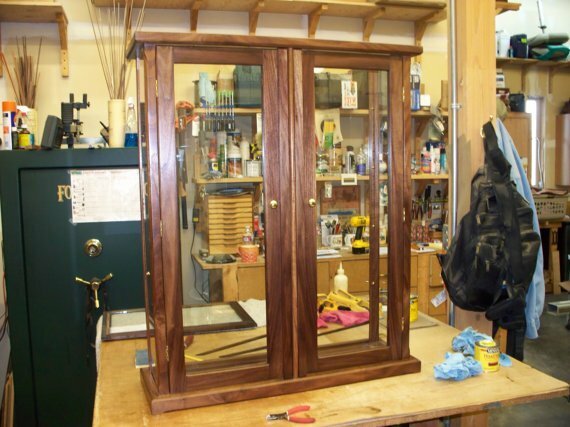 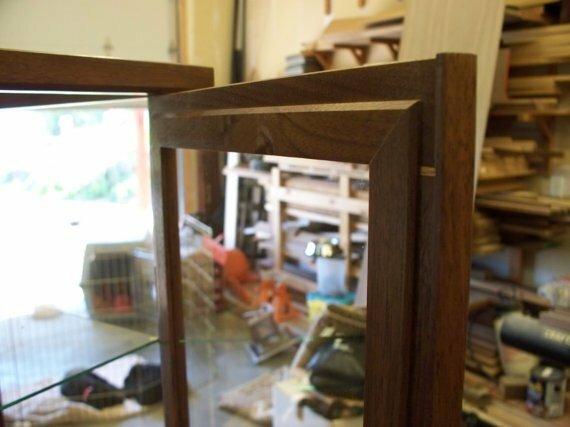 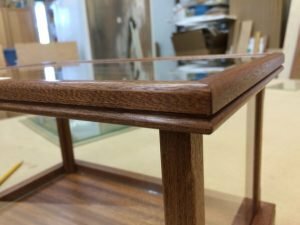 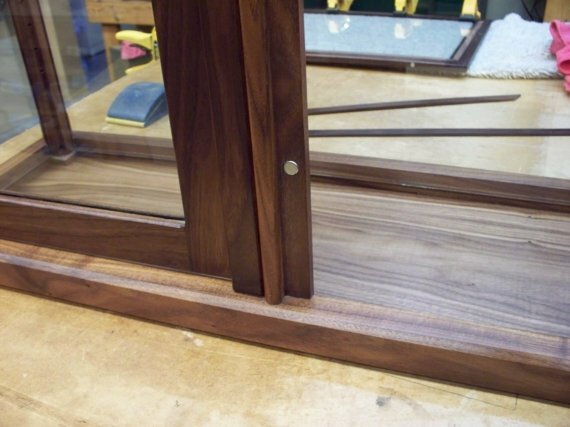 This display case is handcrafted using solid 3/4 inch Walnut, but may be made to order in other domestic woods. 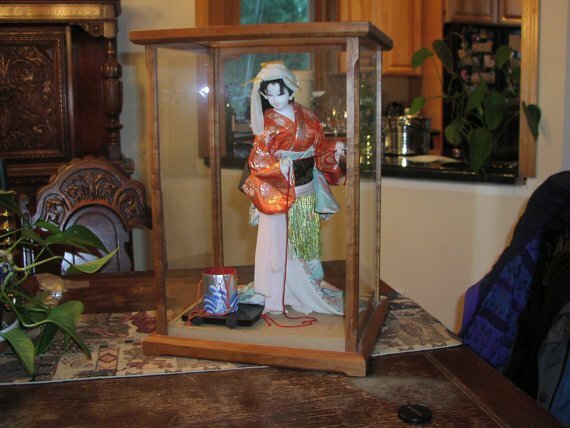 The case has a glass back, glass top and sides, and solid glass front to clearly view your collectables. 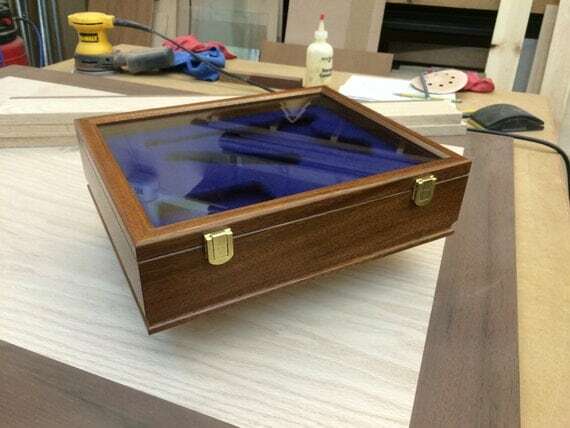 The case design allows the contents to breathe while keeping them dust free. 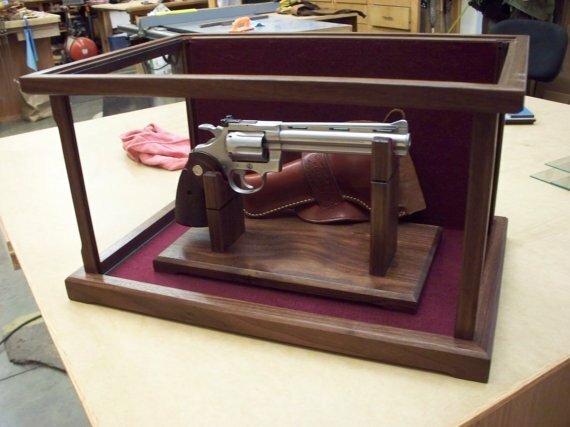 The outside dimensions of this case are 12″ tall by 32 wide and 12″ deep. 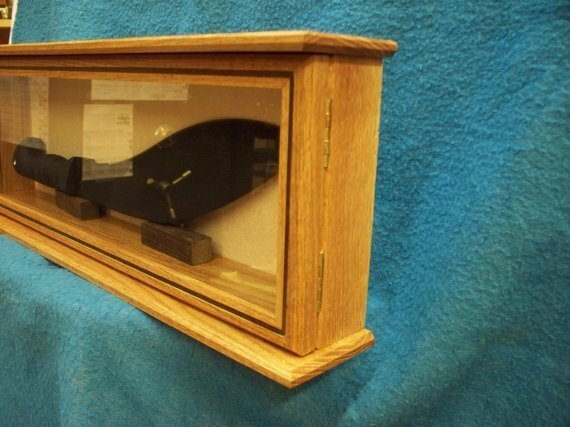 The inside dimensions of this case are 10.75″ tall by 30.25″ wide and 10.25″ deep. 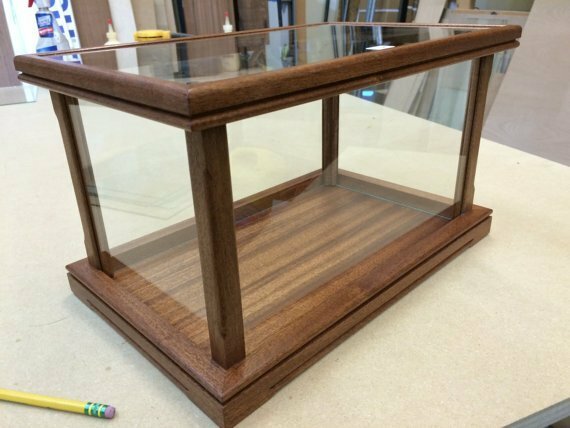 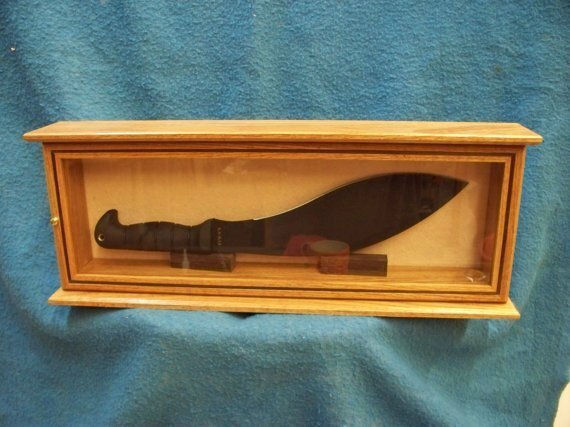 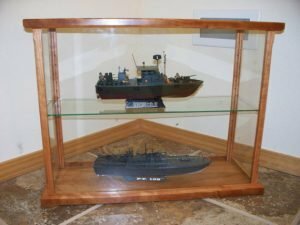 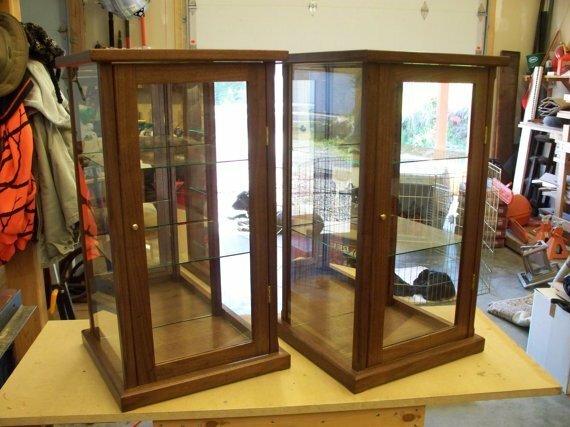 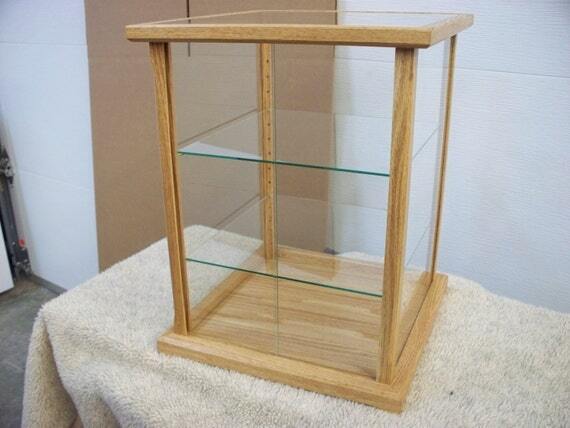 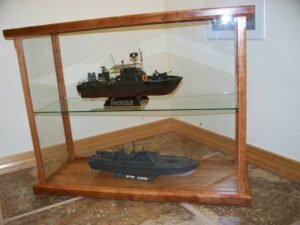 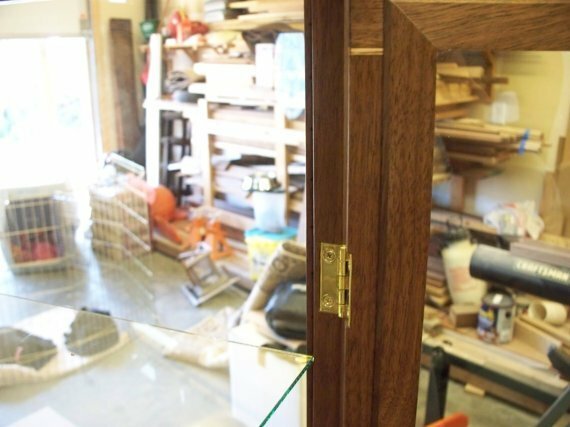 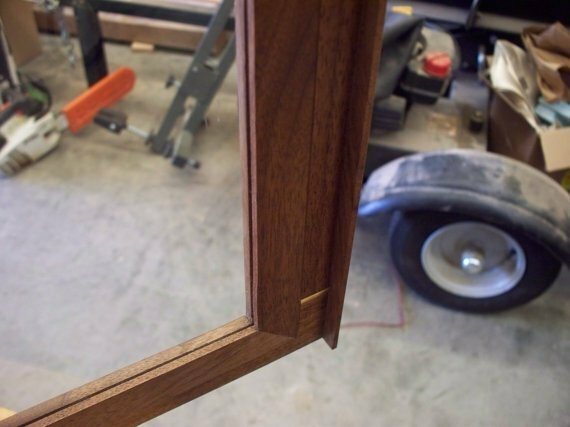 This display case is handcrafted using solid 3/4 inch Red Oak, but may be made to order in other domestic woods. 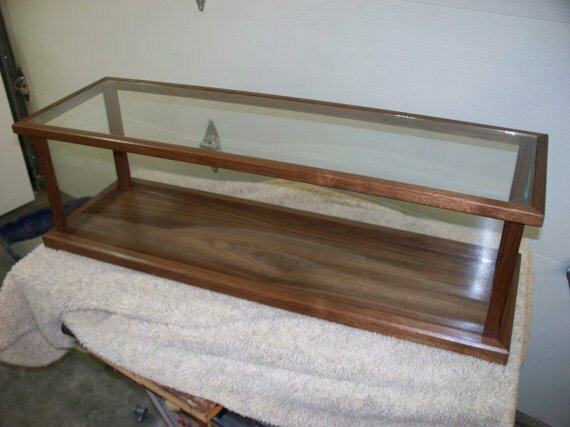 The case has a wood/felt back, Red Oak Framed Glass Door with Walnut inlays The case design allows the contents to breathe while keeping them dust free. 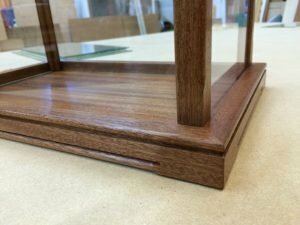 Mirrored glass back can be added to the package for an additional $20.00 so you can have a choice of backs for different displays. 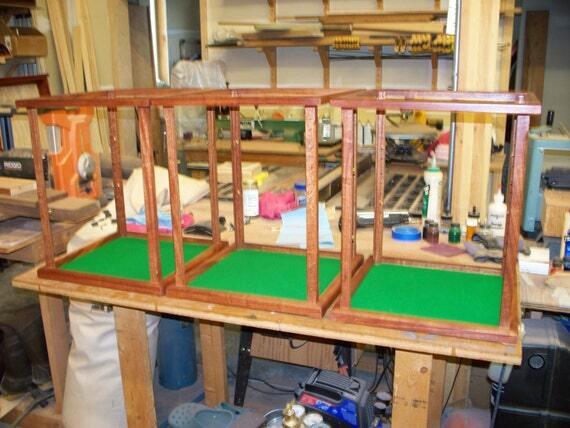 You also have a variety of colors for the felt. 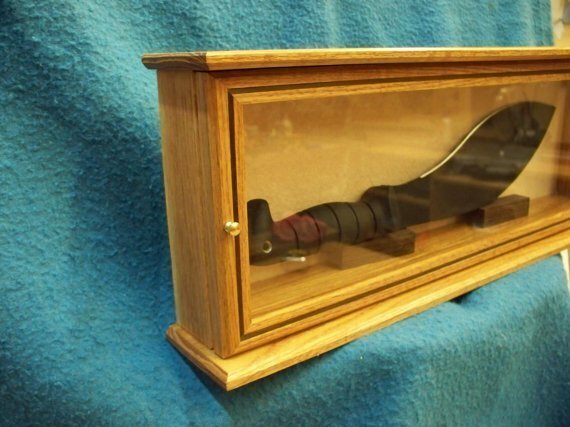 The outside dimensions of this case are 10″ tall by 24 wide and 4″ deep. 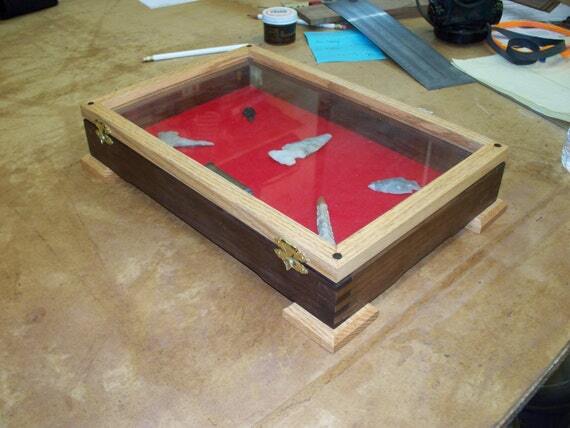 The inside dimensions of this case are 8.75″ tall by 22.5″ wide and 3.5″ deep.